A look at why the author chose Go for a hobby gamedev project and how he approached it. Now I’m considering Go for the next Ludum Dare too. Covering bite size topics such as installation on the Mac, packages, syntax, loops, if/else, methods, interfaces, etc. From Etsy comes Hound, a tool for quickly searching large, complex codebases. Naturally, it’s written in Go. 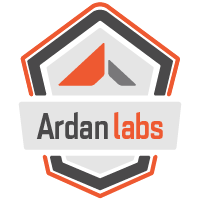 The Ardan Labs Go Bootcamp is a 3 day class providing a comprehensive and idiomatic view of the Go programming language. The class covers topics ranging from language syntax, OOP, concurrency, channels, testing, debugging and more. Great for anyone interested in getting a jump start on learning Go or wanting to understand more about the language and internals. A straightforward look at doing some simple performance tests on a function. Ultimately aimed at deploying on the author’s platform, but the basics are generic enough. Also aims to provide a good overview of implementing interfaces in general. A comprehensive look at different approaches to parsing command line arguments and invoking code paths based on them. An extensive first hand case study of why a team ported a 30K LOC app from JRuby to Go and what the pros and cons were. Has the same API as net/url but adds Subdomain, Domain, TLD and Port fields. SoundCloud introduce their open-source monitoring solution which has been in development since 2012. Built on Go. Makes it easy for programs to talk with one another over the net.